In that oh-so-flattering fluorescent lighting inside the convention center. This past Saturday, September 19, I had the pleasure of attending my first ever NW VegFest. Yay! VegFest is an annual celebration of all things veg*n, with sponsors, speakers, cooking demos, tutorials, information, and LOTS of food. Free food. And this party just keeps on growing. The 2009 conference was held at the Portland Convention Center – a testament to it’s popularity and progress. After a frantic late start (maybe I was too excited . . . ), I found the event, got myself paid for ($4), and got oriented, with just enough time to make it to my first lecture. It was a perfect way to start the day – a discussion of raw food nutrition with Vesanto Melina. 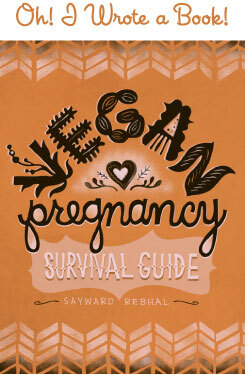 Melina is the author of the ‘vegan bible’, the incomparable Becoming Vegan. And now she’s just finished penning her latest work, The Raw Food Revolution Diet, which is all about – you guessed it – Raw Food and health. Melina is a registered dietitian and health expert, and I appreciated her realistic approach to vegan and raw nutrition. I never felt like she was trying to sell an idea, or like she was cherry-picking data to fit her agenda. She highlighted the pros but was also quick to point out the flaws. It was clear that optimal health, and not ideology, was her primary motivation. I highly recommend her work, especially Becoming Vegan, to anyone interested in veg*nism and nutrition. Turtle Island Foods Tofurky, Tempeh, Etc. 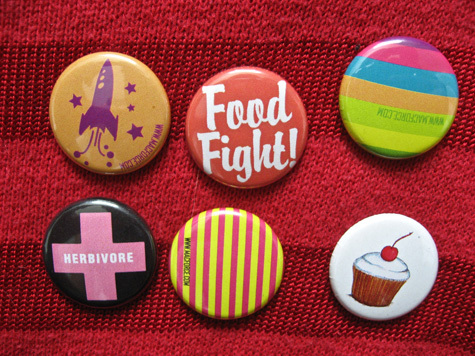 Proudly representing Herbivore, Food Fight!, and vegan cupcakes everywhere. So as you can imagine, it was pretty overwhelming. I methodically sampled every offering, and there were some definite stand-outs. The best meat analogue was the soy-free wheat-based Field Roast. They were sampling their meatloaf, which was hands down delicious. And after my husband and I got to chatting with them, they were kind enough to send us home with a package of lentil deli slices. Score! My favorite ice cream was Luna and Larry’s Coconut Bliss. It is so good, so rich and creamy. But the ‘best new product’ award goes to Turtle Mountain, for their So Delicious coconut milk, coconut milk yogurt, and especially the coconut milk kefir. Keep it up guys, this stuff is great! But the real stars were a few of the local vendors. 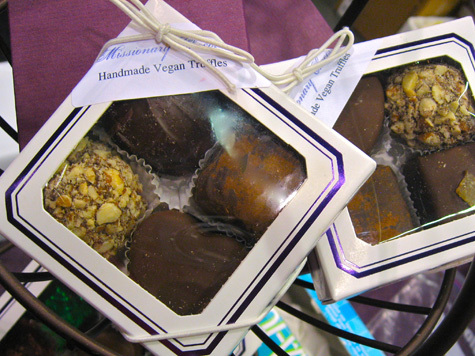 For example, Missionary Chocolates fed me perhaps the tastiest truffles I’ve ever tried. The meyer lemon chocolate was an amazing explosion of citrus deliciousness, and the salted caramel fudge . . . well there are just no words to describe. Hopefully they’ll be coming soon to a market near you! My other top pick was Cuisine Mentor Spice Blends, and this time you’re in luck because these guys retail online. 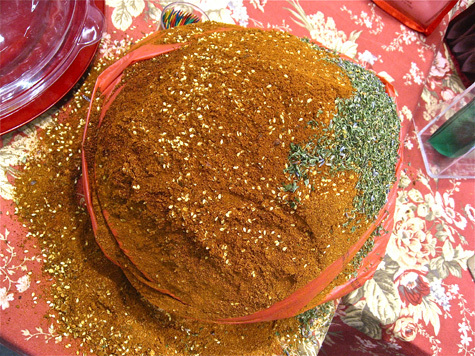 I love ethnic food, and these are easily the most authentic, flavorful spice blends I’ve ever tasted. I highly suggest the African Piri-Piri and the Indian Tandoori. Recipes included – you won’t regret it! All in all, I had an amazing time at VegFest. I ran into a bunch of friends, ate a bunch of great food, learned a lot, bought a few books (that will inspire work on this site! ), and most importantly, connected with my community. There’s nothing like a little gathering to renew your sense of hope and empowerment. Well, community gathering . . . and ice cream sammiches!!! why must you tuant me with delicious american only food products! Gah! VegFest was a blast! Great reporting, Sayward! I almost felt like I was reliving it. I totally missed the Cuisine Mentor Spice Blends. Dang! And I couldn’t believe all the different vegan ice cream companies there. I got to taste Tempt Hemp Ice Cream for the first time. I thought the Coconut-Lime flavor was pretty good. Not hempy at all. I also got to taste So Delicious coconut milk ice cream sandwiches and thought they tasted much better than Luna and Larry’s ice cream. (I mean, look how cute you are biting into that sandwich!) Very rich and creamy, and no aftertaste. I thought Turtle Mountain’s other stuff was really good, too, especially the new French vanilla coconut milk creamer. Did you get to try it? 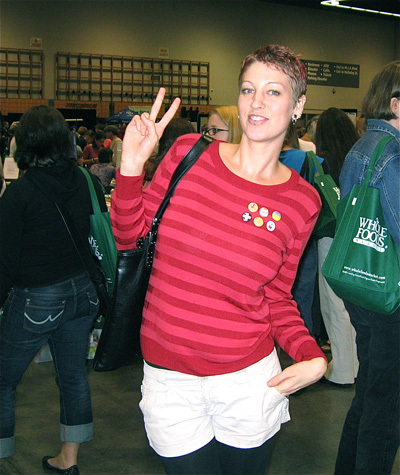 I try to attend Seattle’s VegFest every year and I have volunteered a couple of times. I LOVE it! @ JackP – Sorry! Where do you live? @ Jimmie – Hey fellow VegFest-er! I was also delighted at all the ice cream, it’s come sooo far from that first rice dream I tasted years ago. I agre the hemp stuff is great – very creamy – which surprised me because I find hemp milk weird and sort of . . . gritty? Anyway, yes yes very happy with all the ice creamy options. I assume you’re local since you went, so if you’re interested Cuisine Mentor is at the Saturday PSU Farmers Market every week. They always have lots of samples! I tried a bunch of the Turtle Mountain stuff, but not the coconut creamer. It sounds so good! I’ll have to buy it and give it a shot. 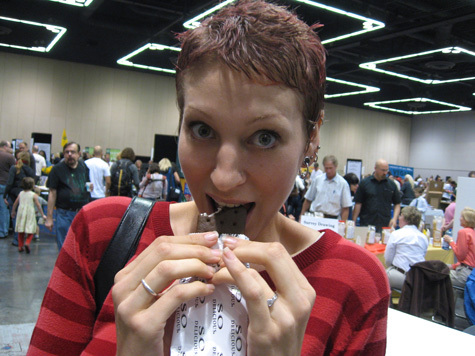 @ Kelly – When is the Seattle VegFest? Did it already happen this year? I have in-laws in Seattle and visit at least a few times a year. I’ll definitely check out those truffles, thanks! @ Kelly – Awesome, thanks for the link! Just so you know, most of the vendors listed above in the post are local as well and not just the ones that have been designated as local. Field Roast & Theo are just next door to us in the Seattle area but with the exceptions of Dandies, Good Belly, Lotus, and Gardenburger (which started in PDX; now owned by Kelloggs) almost everyone else is in Oregon or the PDX Metro area including Tempt which isn’t on the list (Portland) and Stirs the Soul (raw chocolate that is incredible). There’s even two other local raw cracker companies besides VitaCrisp which were there. Parma is an Oregon company that makes a raw, non-yeasty parmesan topping replacement. They’ve been with VegFest for years now. Bumblebar too which is a NW company. Equal Exchange has an office very close to the ToFurkey Folks in Hood River. As for Larry & Luna’s nothing can touch the Mint Galactia flavor which isn’t even all that minty (so those who don’t like mint still love it). No after taste. But yeah, So Delicious is in Eugene too. As is Toby’s. And homemade hemp milk is delicious as well as easy. Glad you had a great time. Rumors are the event will be two days next year. @ Verde – Thanks for all the info, and Im totally not surprised. Of *course* they’re all from Oregon/PDX! ;) Gotta love it here. I really wanted to try the L&L Mint Galactia, even asked for it specifically, but they were all out. I’ll have to pick it up at the store. Thanks again, and maybe I’ll see you there next year! I’ve been obsessed with Missionary Chocolates since I tried them at the Farmer’s Market last year. They had one that was lemongrass and curry that I still dream about a little bit… And by a little bit, I mean a lot.